After receiving overwhelming response at the Innorail 2018 exhibition from the visitors, Lucknow metro rail corporation is striking just the right chords with the visitors at Lucknow Mahotsav, city’s most awaited annual extravaganza. 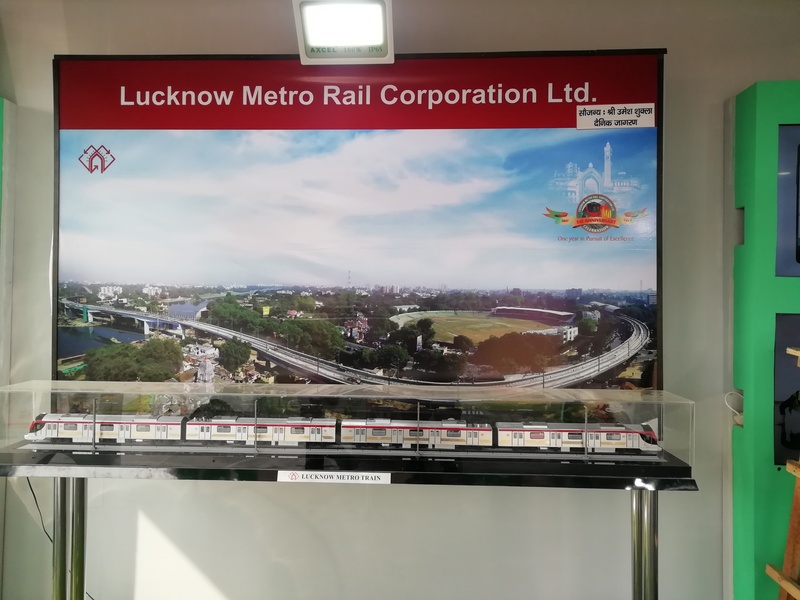 This year’s exhibit by LMRC takes the people of Lucknow on a virtual ride to Lucknow metro’s journey from its Inception to the successful completion of one year of commercial operations. Lucknow Metro is the fastest built metro system in India completed within a span of less than three years. It’s also the first to have Fire sensors in all electrical cubicles and cars and the first in the world to have cameras at rooftop of the metro trains for continuous monitoring of pantograph and OHE (Overhead Electrification). Special care has been taken for the convenience of the differently-abled with the provision of Braille stickers inside the trains, Push-button near the wheelchair space for longer stoppage duration of the trains. People are beaming with pride to know that Lucknow metro is all set to commence the commercial operations for the entire North- South Corridor by early 2019 and they are turning up at the Lucknow metro stall in large numbers to get as much information as they can. Over the last six days, the main attractions have been the selfie point where visitors can take selfies with the LMRC mascot, A replica model of the Lucknow metro train, the toy train counter from where people can purchase Lucknow metro toy trains for rupees 140 and the sale of Metro Go Smart Cards. The elaborate stall by Lucknow metro also has a wide video screen outside which enlightens the viewers with all the amenities and facilities provided at the metro stations and inside the metro train.The visitors are in awe with the breathtaking image of the aerial view of the metro Bridge from KD Singh Stadium passing over Gomti river and are taking happy family photographs with the image at the backdrop. 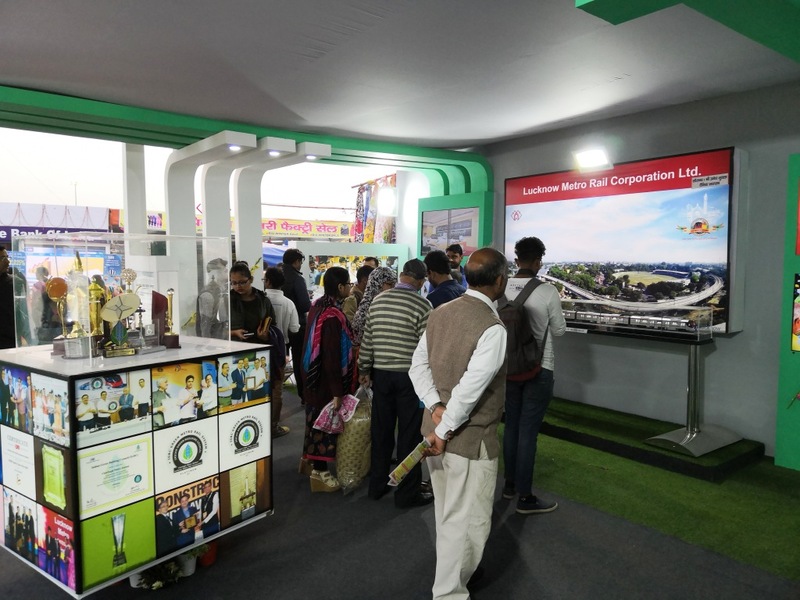 The LMRC stall at Lucknow Mahotsav is setup adjacent to a Atal Gaon and people can get information and souvenirs at the stall till 5th December, the last day of Mahotsav.